Goldman Sachs surprised the market when the investment bank advised its clients on Monday, April 11 to liquidate the "CCCP basket" for a 25% profit. 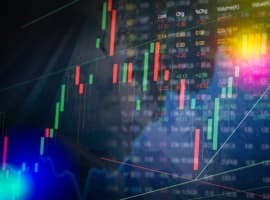 The bear call was partly responsible for a broad sell off in commodities in the following two days, including the seemingly unstoppable crude oil. Crude oil ended the week dropping 2.8%, the first weekly decline in a month. CCCP is a commodity basket Goldman first recommended to clients in December 2010. The weight of the CCCP basket is allocated as 40% in crude oil, 20% in copper, 10% soybeans, 10% cotton and 20% in platinum. Goldman believes the confluence of these factors could begin to offset some of the upside owing to “potential contagion risk in the Middle East and North Africa (MENA)”. Furthermore, Goldman predicts Brent would correct towards $105 a barrel in coming months. As discussed in my analysis on April 11, demand is starting to show weakness in Europe as gasoil storage reached a 3-month high boosted by imports, and a lack of demand from the agricultural sector. As such, Goldman also recommends clients to close long positions in the ICE gas oil (diesel and other distillate fuels) contracts. However, not all agree with Goldman. BofA Merrill Lynch, for example, has a total opposite view on crude. Bloomberg quoted a Merrill report dated April 12 that BofA expects Brent futures to top $140 a barrel in the next 3 months “as consumption expands rapidly” and "armed conflict curbs supplies from Libya", there even was a 30% chance Brent Crude could hit $160 a barrel. This is not the only occasion that the two investment houses have diverging views on market outlook and portfolio positions, but it certainly marks a rare head-on confrontation between the two heavy weights in the commodity trading business. It also has left investors in a quandary - Which way goes oil, Goldman or Barclays / BofA? Coincidentally, Goldman’s crude oil bear call came around the same time that the IEA (International Energy Agency) warns of high oil prices could hurt global economy. 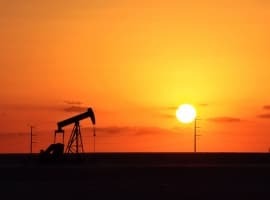 Although it maintains world oil demand outlook, in its Monthly Oil Market Report, the IEA notes “Preliminary January and February data suggest that high prices are already starting to dent demand growth," and that "The surest remedy for high prices may ultimately prove to be high prices themselves." 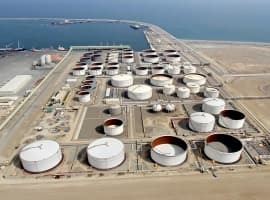 Meanwhile, Saudi Arabia’s Oil Minister Ali al- Naimi said the global “market is oversupplied,” and confirmed the Kingdom had cut output by more than 800,000 barrels per day in March because of weak demand. Saudi’s production in February was 9,125,100 barrels a day, and dropped to 8,292,100 barrels in March, but April levels are expected to be a bit higher than that of March. Moreover, al-Naimi said that Saudi Arabia sold 2 million barrels of new blends of oil it has developed to help replace Libyan barrels withheld from the market, “and there is plenty left.” Even Barclays acknowledges that the new Saudi blends have seen a “lukewarm response” from European refiners in an investor note on April 14. The demand destruction is clearly manifesting in the U.S. Crude oil inventory is now sitting at 359.3 million barrels as of April 8, up 1.6 million barrels from just a week ago and 5.3 million barrels from a year ago. Demand for gasoline over the four weeks ended April 8 was 1.6% lower than a year ago, averaging nearly 9 million barrels a day, an 8-year low. U.S. refineries run also drastically dropped to 81.4% of total capacity on average, a 3% decline from the prior week. Now, what’s wrong with this picture regarding the U.S. WTI crude oil? There's a drastic drop in gasoline demand (see demand chart), plenty of crude inventory and supplies, yet crude oil WTI marker and gasoline prices remain stubbornly high (see price chart) unfazed by the bearish supply and demand factors. The high gasoline prices are now costing the U.S. consumers about $360 million more per day at the pump than a year ago. According to AAA, six states now have gasoline prices above $4 a gallon, which is considered the price tolerance threshold for consumer behavior change. As nothing cures high prices like high prices, particularly for an economic commodity like crude, crude oil along with gasoline prices would have to come down, as the current U.S. economy and jobs situation could not support these irrational juiced-up price levels. China's economy grew more-than-estimated 9.7% in the first quarter and inflation accelerated in March to a 32-month high, the fastest pace since 2008. China's consumer prices rose 5.4% from a year earlier while industrial output also increased 14.8% year-on-year. Chinese Officials inflation target is to hold at 4% for the full year. So, this suggests Beijing's efforts to rein in prices are falling short, and more should be expected. The same goes for India. India's central bank has also been battling to bring prices under control. Rising food and fuel costs at double digit escalation is part of the problem, despite eight interest rate increases in the past year by the Reserve Bank of India. Goldman has been one of the most bullish on commodities and was the first investment bank predicting $100 oil in the summer of 2007, more than a year prior to oil peaking at $147. Just five months ago, Goldman said the world's crude oil spare capacity could be wiped out by growing demand by the end of 2012. It is hard to tell what prompted Goldman's sudden and somewhat surprise bearish view. But based on supply and demand fundamentals discussed here, coupled with contract rollover pressuring WTI prices as Cushing storage is maxing out (by the way, Goldman's call came a week before the WTI May contract expiration and rollover on Tuesday, April 19), it seems Goldman’s bear call is just front running the inevitable, as there are very few excuses left to push up the price oil much further. Despite the slight drop in recent days, WTI price is still up about 25% from a year ago, and remains incompatible with the current global economic recovery progression. On that note, BofA Merrill Lynch’s call for Brent futures to top $140 a barrel--a 15% rise from Monday's closing--in three months seems way off base on supply and demand fundamentals, or even from a speculative point of view. FT reported that Barclays expects oil prices would reach $185 a barrel by 2020. With increasing market volatility and uncertainty, it is very difficult to make prediction almost 10 years down the road, but from the current vantage point, Barclays oil price target in the long term seems reasonable, based on diminishing ‘easy oil’ resources, global demand outlook and oil E&P project cost inflation. Amid rising food and oil prices, a lot more aggressive tightening could be expected from China and India, along with other emerging countries, and developed economies. Even the most dovish U.S. Fed would at least quit further stimulus after the completion of QE2 in June. This most likely could result in a marked slowdown in global economic growth and fuel demand, as early as the second half of 2011. Then, instead of if and when, it is a matter of how bad the world economy, commodities, and commodities related investments would get hammered. 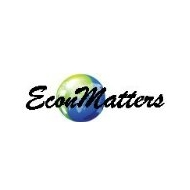 Dian L. Chu is a market analyst, founder and editor of EconMatters. And we go happily along with the very bankers who are at the root of the devaluation of the dollar and thus the root cause of oil prices continuing to rise. Print $1 buy $1 in Oil Print $2 buy $0.50 in oil, print $3 buy $0.33 in oil. Pretty simple to me fiat currency always acheives it real value $0. However, in 1913 a mercury dime would buy a gallon of gas, that same mercury dime will still buy a gallon of gas (almost). Central Bankers need to be hung by their neck until they are dead, dead and dead! 360 million MORE per day. I find it hard to believe that. But if it is true, somebody is in trouble. Maybe they deserve it though. All workers should be required to show an ID card indicating what they do for a living. When a wall street executive shows his card to a merchant, the merchant should be able to increase prices on the spot to that person. This way, the wall street guy would feel the same pain that they are inflicting on the rest of us. How does 50 bucks sound for a slice of pizza??? Tag you it! Why are Wall Street execs any less or more evil than anybody else? If a guy comes into a grocery store and his credit card (or hers) says WALL STREET EXECUTIVE), why should that person be charged any more for a quart of milk than, let's say, a successful lawyer or doctor or a wealthy non-Wall Street businessperson?